Local search is the practice of optimizing content on your website to attract more qualified leads who are located near your office, store, or service area. This process combines the geographic location of where people are when they search for specific keywords along with the words or phrases they use. As a result, local SEO is a powerful marketing strategy because it not only connects with your readers based on what they are searching for, but it also focuses on location-specific searches of your local audience. Your company should focus on developing content based on the needs of your customers just like you would in a traditional SEO marketing campaign. This content should be helpful as your audience searches for solutions to their problems, and you will need to create information that builds trust with your reads so you can nurture a relationship over time. Localizing content for a geographic area can be challenging. When you apply the needed time and energy to the marketing channel, you will experience a significant lift in your online rankings and drive more local customers to your site. We will cover some of the ways that you can optimize your website to rank your company in the top of local pages in search engines. Local SEO is currently one of the hottest areas of Search Engine Optimization because it gives your business an unmatched opportunity to engage with local customers in your community. One of the best parts of local SEO is that you can optimize your website with local landing pages to attract highly qualified customers to your website or store. At the same time, since you are only competing with local competitors instead of trying to outrank companies on a larger scale. 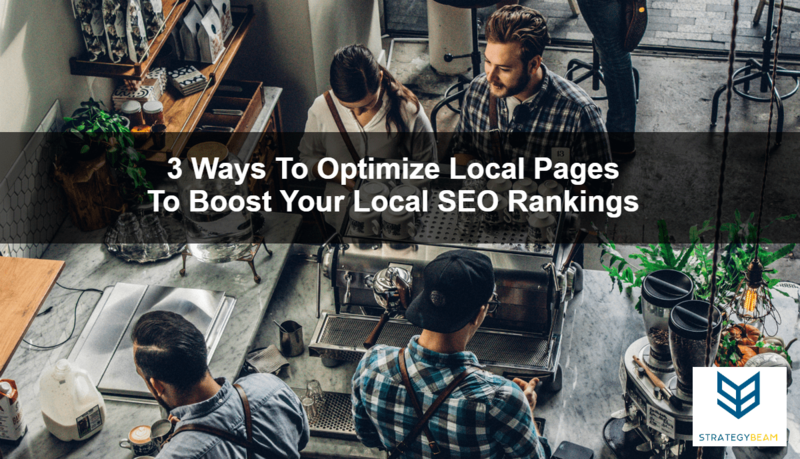 Your business can experience a boost in your online rankings and sales by implementing some optimizations across your online presence with a focus on local SEO. There are a number of factors that go into local SEO optimizations like local directories, Google My Business listings, and local backlink building, but today we will only look at how your company can optimize on-page factors for your local pages to see the best results for your efforts. Getting your website found for specific keywords is the name of the game for SEO marketing, but with local search, you also have to consider the physical location of your audience when developing content for your local business. Approach everything you create for local SEO with the assumption that your audience will have local intent in their final purchasing decision. One way to optimize location pages on your site is by starting with the URL, title tags, and meta descriptions on each of your local landing pages. Since you want to get found by people in a specific geographic area, you should adjust your title tags and other data to appeal to your locally-minded searchers. Think about SERPs like a local directory when you start creating content for local SEO. Each time a local prospect looks for a product or service with a geographic keyword, they want to find a solution near them, and your location-specific pages need to be optimized for both their needs and their geographic location. You can use this intent-based search to your advantage by including the city, state, and product/service in each title tag. 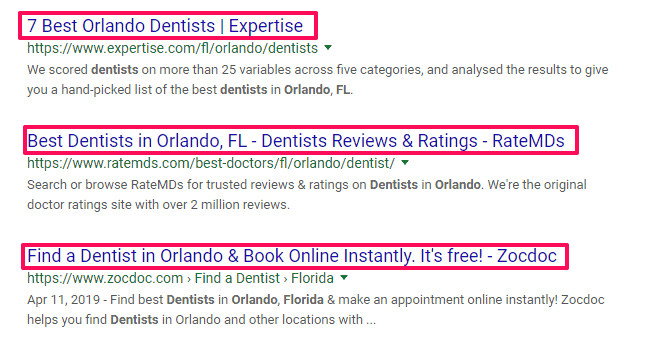 This little trick will help you stand out among other local business listings so you can drive qualified traffic to specific pages on your site. Include geographic keywords in each title tag. This will help you get found in search engines and quickly show that your page is relevant to readers. Make each title tag unique for each local page. Put your local product or service keyword first, with your business name towards the end of each title tag. You want to display the most critical information first since your audience likely reads from left to right. Since you are going to put a lot of time and effort to create a great local landing page, you should also take the time to display even more information in your Meta Description. 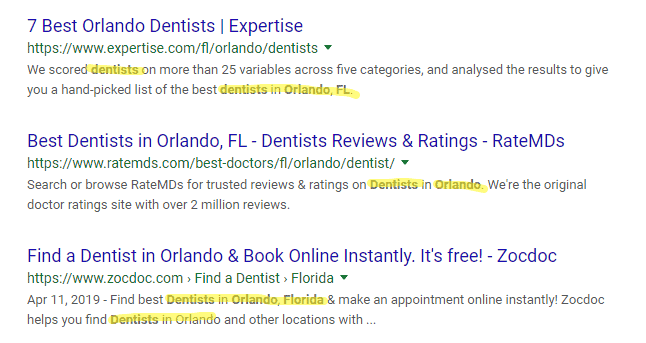 This little snippet will appear with your city pages in SERPs and will play a crucial role as your audience makes a decision when looking for local solutions. Include text that will grab the attention of your audience. Test out symbols to stand out from the competition. Try to keep below 160 characters, since Google will cut down longer meta descriptions. Make each meta description unique for every local business landing page. While Meta Descriptions don’t have a direct impact on SEO from a technical aspect, they do help drive Click Through Rate of pages. You should not focus on the same metrics with local SEO as you would with a traditional SEO campaign because local SEO is all about capturing highly qualified traffic. A strong Meta Description can help orientate your audience to your local content along with getting your readers ready to click on your pages. Be sure to focus on everything you can to drive more customers to your website through on-page local SEO page optimizations! Google and other search engines use all the information they can get to help their algorithms understand how relevant content is on each page of your website. You should use a tight website architecture and internal linking structure to help your audience and search engines understand each location page on your site. Following a logical and structured framework for your website is a great idea regardless of your industry or target audience. I have found that it is best to create a content silo specifically for your geo-specific information. 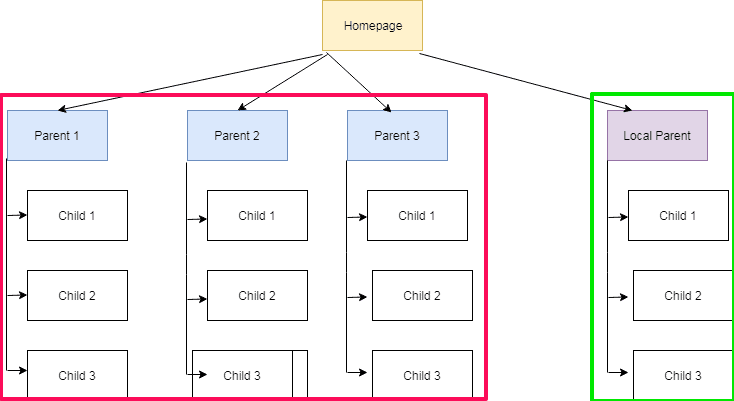 This approach not only helps the visibility of local pages together, but it also prevents obscuring the context of non-geographic information from bleeding throughout your site. I have seen positive results after testing on our own site that keeping a tight silo of location-specific content linked together and separated from the general website pages. I create each title tag, meta description and other on-page optimizations specifically for each location page. I do not want overlap between broad keywords that I try to rank nationally with local SEO keywords, and I have found that creating a virtual silo is one of the best ways to prevent overlap and boost the performance of local landing pages. Since you will want to contain the relevance and authority of each page, you should also remove your location pages from your main navigation. II hav seen some website create a different navigation menu that only shows on specific location pages. This is just another way to limit any confusion that your audience could face when searching for products or services you offer. Search engines like Google and Bing continue to get smarter as they work to understand exactly what searchers are looking for based on search queries used. Location pages are vital to boost your online visibility in a specific geographic area since they address the needs of your customers and tie in the geographic proximity to those customer needs. You should follow the usual tips for on-page SEO as you develop content for your location pages. Focus on things like keyword placement, Header tags, and Call To Actions. The only thing that really changes when developing local pages is that these landing pages should feature sections that highlight the physical location of your customers and your business. I have found that creating custom content based on the needs of my local customers is a great place to start for highly effective local landing pages. Since I am in Orlando, FL, I created content that focused on the needs of local business owners like the highly competitive market, high costs of rent, and other factors unique to Central Florida. You can take a similar approach for your location pages by adding your products or services along with the unique needs of your customers locally. Along with great location-specific content, I also add a Google map to the bottom of each page. This addition helps build trust with my customers, and I feel it helps Google understand the geographic location of my business. You can use this trick to make your local business pages more relevant for search engines and build more trust with your audience. While some people will argue that adding outbound links could hurt the authority of these pages, I added the resources because my main focus is to help local searchers find the information they need. Plus, Google likes to rank pages that show relevancy to search queries and I think adding non-competing resources at the bottom of each local page can help everyone win. There is a lot to talk about when you consider optimizing local SEO for your business. Everything from local directories to mobile device usage, local SEO is much more than simply optimizing a few local pages on your site. You will need to build a strong online presence with local directories, increase reviews, and optimize your Google My Business listing. However, optimizing your location-specific pages is vital if you want to get found by local searchers. Is capturing the attention of local customers important to your business? If so, then you should consider working with one of the top Orlando SEO consultants to drive more traffic to your site and boost your sales. We look forward to the opportunity to work with you and build your online visibility through local SEO today! Great post! Thank you for taking time to outline these strategies for optimizing local search. I really find local SEO to be a useful tool for gaining new customers and keeping my webpage visible in my community.